Discover the intimate details of something unexpected, and share your images with us. 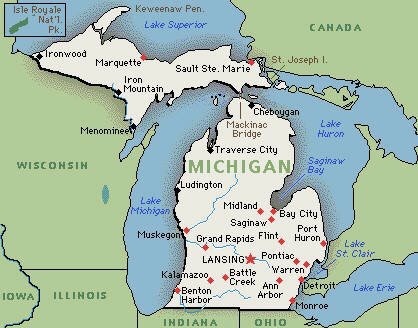 Although Michigan is often called the Wolverine State, there are no longer wolverines in Michigan. During the American Revolution, the legal separation of the Thirteen Colonies from Great Britain occurred on July 2, 1776, when the Second Continental Congress voted to approve a resolution of independence that had been proposed in June by Richard Henry Lee of Virginia declaring the United States independent from Great Britain rule. After voting for independence, Congress turned its attention to the Declaration of Independence, a statement explaining this decision, which had been prepared by a Committee of Five, with Thomas Jefferson as its principal author. Congress debated and revised the wording of the Declaration, finally approving it on July 4.